Lunch box inspiration (for you or your kids)! These Easy Kid (or Adult) Lunchbox Ideas. 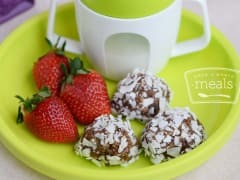 These Pinwheels and Energy Bites can be made ahead from fresh or frozen.